I had such good intentions of making my own baby food. I bought the little trays to freeze purees in, I read some books. But I must admit that I've done it only once or twice. Poor Jasper. I've been buying organic jars of baby food, which purport to be healthier than traditional styles, but they still taste awful. Watered-down, overcooked and bland. Shouldn't our kids be eating things that taste good? 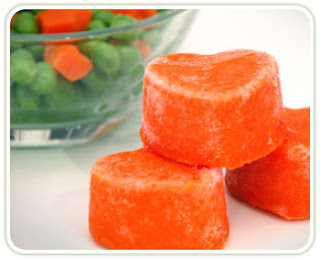 I found some frozen organic baby food cubes in the freezer section at SuperTarget and they were better, but the packaging was hard to use. The cubes got stuck in the brittle plastic shells or had plastic film frozen to them. I liked the idea but the execution was seriously lacking. That's why I was so thrilled to discover Jack's Harvest, frozen organic baby food delivered to your home. Jack's Harvest produces homemade, organic baby food in small batches. 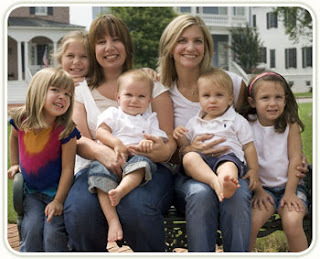 The company was founded and is operated by two moms– one who likes to cook and one who doesn't. Both moms wanted to find a healthy AND tasty alternative to jarred foods to feed their babies. Heather sought out organic produce from local Atlanta-area farmer's markets to prepare her own purees. She makes them with no artificial ingredients, additives, preservatives or fillers - and with no added salt, modified sugars or starches. She even composts the wastes they produce, how cool is that?! Connie decided she would rather pay her friend to deal with the cooking, and so Jack's Harvest was born! Lucky, lucky babies. And lucky us! The ladies of Jack's Harvest sent us several varieties to try. We received two flavors from their So Smooth collection: more peas, please with a hint of mint and lip-smacking sweet potatoes with a dash of cinnamon & vanilla, and pearsnips (parsnips and pears with cinnamon and turmeric) from the A Little Lumpy collection. Did I mention that Heather freezes the purees into adorable heart shapes? The smooth varieties come as 1 oz. hearts (12 per bag) and the lumpy flavors come in 3 oz. hearts (4 per bag) for heartier appetites. I am anxious to try Jack's Harvest's other lumpy blends: go bananas with cherry, cauli-baba potatoes, potatoes & broccoli. For the indecisive (like me), there are also three pre-selected combination packs you can order, each featuring six favorites from their menu– one all smooth, one all lumpy and one mixed pack (Tasty Textures). Jack's Harvest isn't cheap. A 12-oz. (12 smooth hearts or 4 lumpy hearts) bag costs $6, a sampler pack of six bags is $35.99.and shipping to my zip code (central Kansas) is $17, for one bag or several. When you compare the price to organic jarred baby food, it's quite a bit higher, but I do think that it's worth it, for the convenience, flavor and healthy goodness of the food. Plus Jack's Harvest is a new company, so there is always the hope that a big retailer (do you hear me, Target and Whole Foods?!) will pick them up. To that end, there is a letter you can print from their website to request your local grocer to stock Jack's Harvest in their freezer section. receive one free bag of super smooth go bananas . Enter code SUPER at checkout! Who's making your baby food? If it's Jack's Harvest, the brunette does! Great blog - I'm glad I found it!! Thanks for stopping by and entering the beach towel giveaway, and good luck! Thank you for bringing up this very important issue, you have a very informative blog.